If your hamster has an abnormal lump anywhere on the body, you should definitely find a veterinarian that is familiar with small animals so that you can have the lump diagnosed. It may be a simple abscess caused by an infection, but it could be a tumor. Without veterinary assistance, that's something that you won't be able ot have diagnosed over the internet. For the most part if your hamster has a lump, a veterinarian is your only solution. Even an abscess caused by an infection is pretty important to have treated. If you don't get your hamster treated, the prognosis isn't going to be on the positive side, but with treatment your hamster should heal within a few weeks. 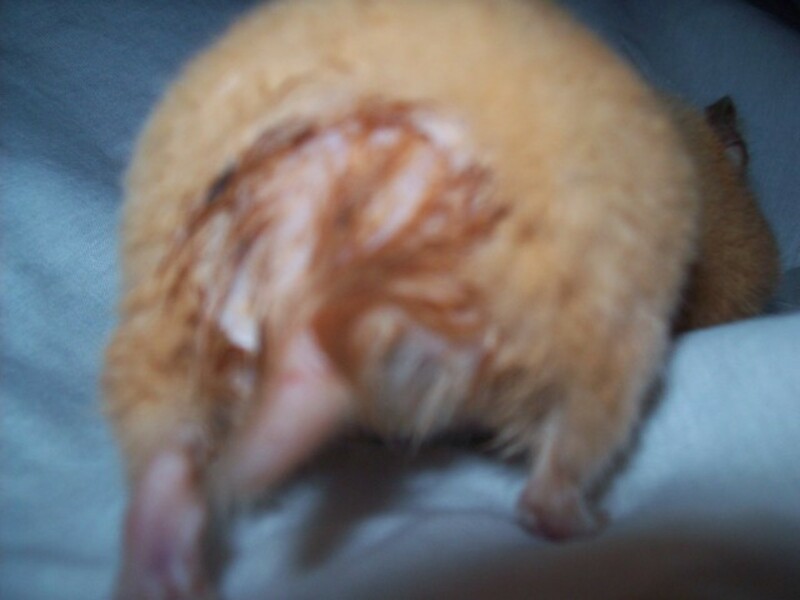 Abscesses can be caused by many different things, and are most common when hamsters are housed in groups. 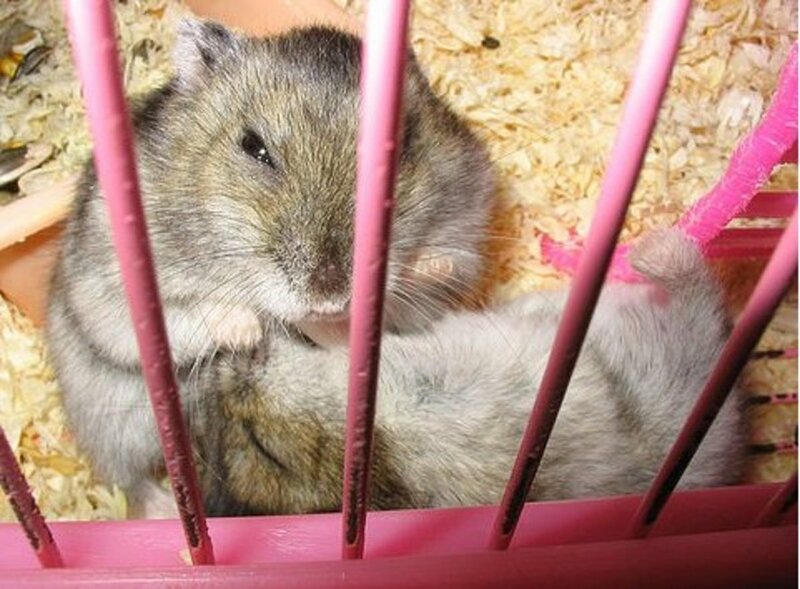 The most common cause is a bite, wound, or scratch that has become infected, typically caused by another hamster. 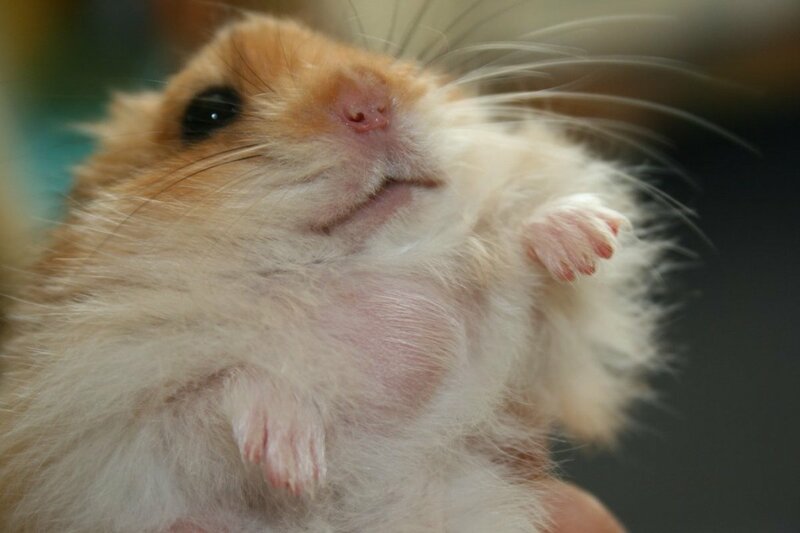 Remember that teddy bear hamsters (Syrian hamsters) are best when housed by themselves, whereas most dwarf species can be housed in groups. 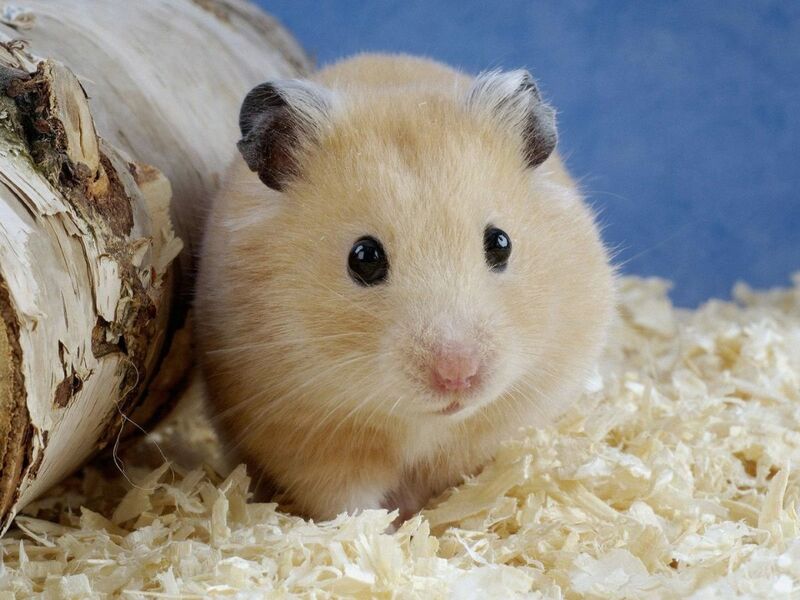 Another common cause of an abscess is when sharp objects get stuck or scratch the pouches in your hamster's cheeks. Basically, when the immune system tries to heal the infection, the pus will start to develop underneath the skin, which results in a bump surrounded by a swollen area. So, whether the hamster received a scratch from another hamster, pet, or sharp object, an abscess can develop while the body is trying to heal the wound. An abscess is generally pretty easy to spot. It's a bulge or bump on the hamster's body that is not normally there. It may be hard or soft, depending on what type of abscess it is - cancerous or just irritation. If it looks like your hamster has his cheeks full all the time, it may be an abscess, which should be looked at, as a cheek abscess can potentially cause stomach issues later on if left untreated. Plus, it's probably a little painful, which can lead to lack of appetite. You may notice that your hamster isn't eating as much, he may have a general ill appearance. He may be more lethargic, and he may not exercise as much. Depending on where the abscess is, the effects may vary. Hamsters with lumps around their legs may have trouble moving, whereas lumps in and around the mouth, may cause trouble eating and drinking. 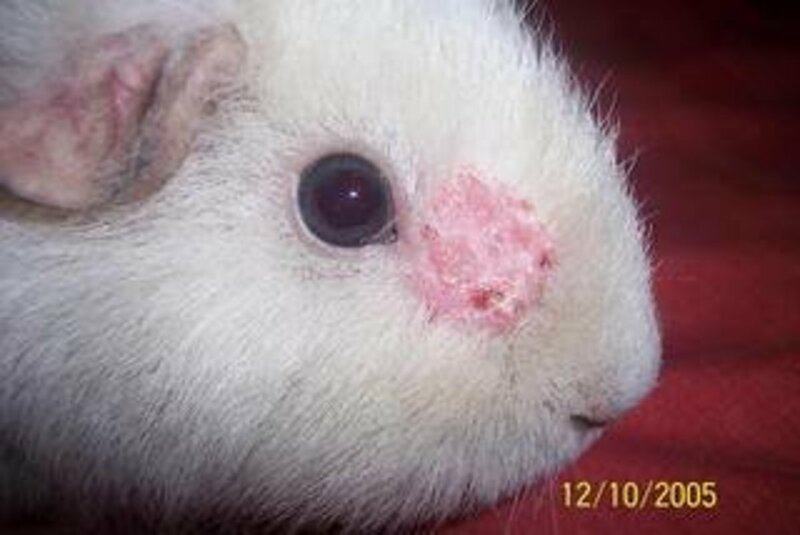 A vet will need to diagnose the abscess to determine if it is cancerous or not. But, in terms of a basic abscess, a vet will want to drain it. The vet will more than likely flush the abscess with a saline solution to clean it out and ensure that he was able to remove all of the infection, and then your hamster will probably be prescribed an antibiotic to prevent further infection. You want to have the abscess treated as soon as you can because if it continues to grow and end up busting, which can cause an infection. If your vet determines the lump to be a tumor, he may be able to remove it if it's an external tumor. If it's an internal tumor, it may be too late, as internal tumors are usually diagnosed very late in the game. Removal will depend on whether the vet feels like your hamster will be able to survive the surgery and make a good recovery. In some cases, the lump may be a fatty tumor, which is benign and your hamster will live fine without having surgery unless the tumor starts to hinder eating, drinking, urinating, and defecating, or if the tumor starts to drag, which can potentially become infected. My granddaughter just got a teddy bear hamster and we noticed that it has a lump on its left side just below its ear. It feels like a bumpy kind of lump not smooth and it moves quite freely. It also appears that there may be a small one on the right side. Does anybody know what this might be? my hamster has a bump on his eye that sounds just like this but he also has los of eating and is slow he is a very old hamster maybe 3 or 4 years old but he still moves whe he is hapel like he is 1 year or when they are still growing. hi my hamster has a bump under its mouth she is not even one yet and i am wondering how bad it is . It tarted a mabey 4 houres ago on 9\19\16 pease help I would love it. monday, they are not open today. he has a big lump. i hope he is ok. Thank you for this helpful hub. My daughter has a hamster with an abscess, and we went to the vet. the hamster is still on antibiotics but once she was off the pain medicine she started biting it again. Should we just keep her on the pain medicine a little longer? We called the vet, but I wondered if you had any experience with this. I am scared I don't know if my hamster has a tumor or not help me it is spongy it's a small ball near it's cheek my dad said we will get it checked up if it does not get better I am scared if it is too late help me!!!!!!! Did Archibald get well again? I just noticed an abcess on one of my beloved roborovski hamsters, probably due to a bite from his brother, and am taking him to the vet tomorrow. Any advice? it's preety hard to deal with this disease. (abscess) My hamster suffers and I am helpless. The vet told me to have to cut his leg.I can+t beleive. Is there any treatement to help my sweet Archibald do get well?